Logistics & warehousing are the lifeline of the supply chain. But just like any other business, logistics companies face tough rivalry in the face of looming competition and globalization. So, what can help your business survive and thrive? A sound logistics marketing plan can help! Before creating any marketing materials or strategies, it is important to understand your business and industry environment. For this, some of the most basic yet essential exercises to perform are SWOT & competitive analysis. 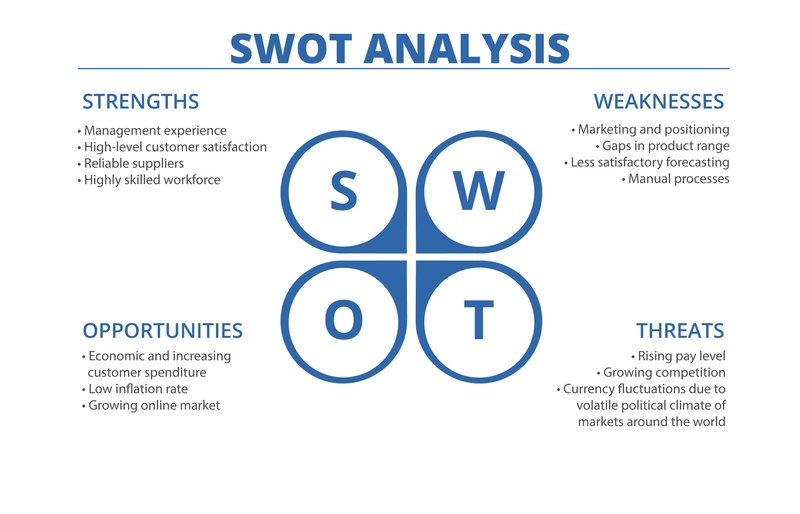 Conducting a SWOT analysis will enable you to evaluate your company’s market position by identifying your strengths & weaknesses (internal factors) and opportunities & threats (external factors). You can more effectively market your logistics services once you have determined the factors that you can leverage (strengths & opportunities) and ones that you should carefully consider and/or avoid (weaknesses & threats). This will give you an edge in achieving your goals and overcoming market obstacles that can hamstring your growth. These questions will help you put together a simple but effective SWOT analysis. Strengths – Where does your logistics company excel, and what sets it apart from the competition? In other words, what makes it special? Why should customers buy from you and not your competitors? Weaknesses – What holds your organization back internally, or what factors you can improve? For example, are you lacking the financial muscle to hire the best talent, have the best technology, or launch an extensive marketing campaign? Opportunities – What external factors can you capitalize on to gain a competitive advantage? For example, one opportunity small organizations have is the capability to personalize their service offerings. They are also nimbler because they don’t have multiple layers of management that needs to review every decision. Threats – What external factors can harm or hinder your company? For example, are tariffs hurting imports or exports? Or are currency fluctuations impacting manufacturing? Now that you gained an understanding of your company’s market position, it is time to determine its direct and indirect competitors. This will help you understand the business’s unique selling proposition (USP) to attract your target market. An easy way to do a competitive analysis is by making a competition grid. Generate a list of products or services that your customers would buy if they didn’t buy yours. Put them on the first row. Judge each product or service, including yours, according to the category on the first column and add it to the grid. 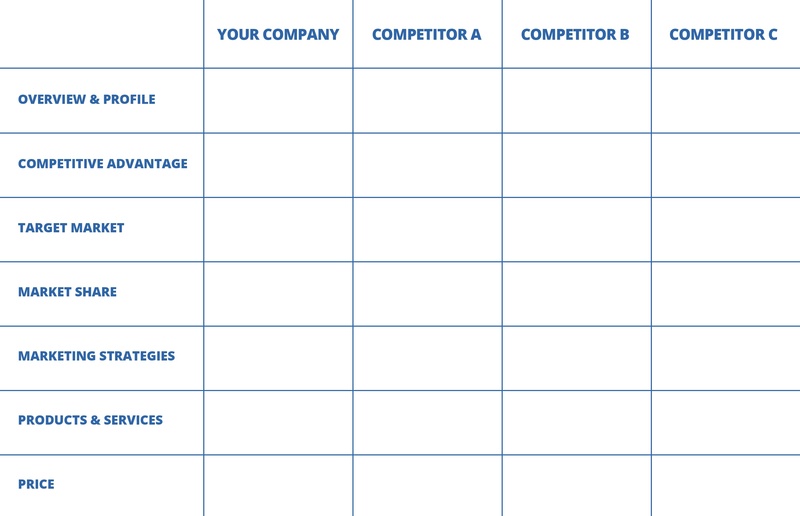 Here’s a template you can use to complete your competitive analysis. Now that you have analyzed your market and competitive position, it’s possible to effectively pinpoint your company’s unique selling proposition (USP). This factor will be your differentiator and the factor that convinces your potential customers to buy from you rather than your competitors. Your USP (unique selling proposition) does not have to mean having the best product or lowest price. Your USP might stem from intangible values such as integrity, security, and expertise. Consider your competitors’ marketing strategies, product characteristics, value propositions, distribution channels, and price structures to align your business with a unique market position. If you successfully equip your business with a clear and well-articulated USP, you will be able to differentiate your company from your competitors and increase your chances of success. Remember, business is about bringing value to the market, which means doing something that few people, if any, are doing, or doing it in a unique and clever way. 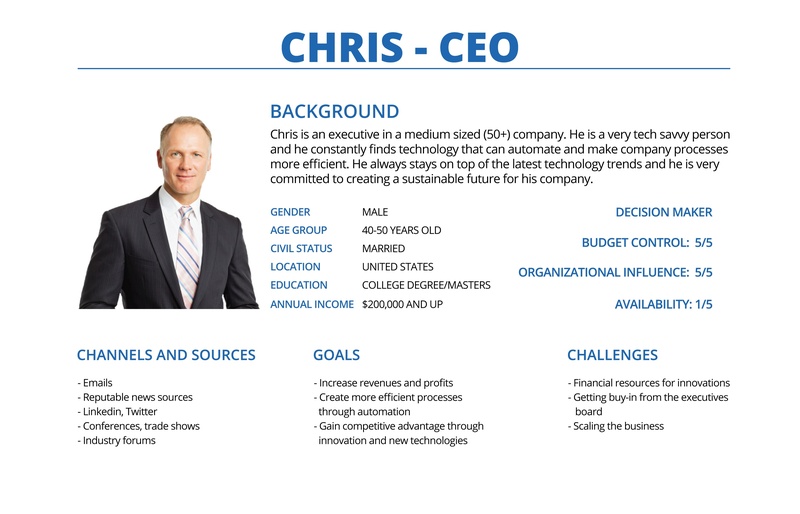 Your next step is to define your Buyer Personas. 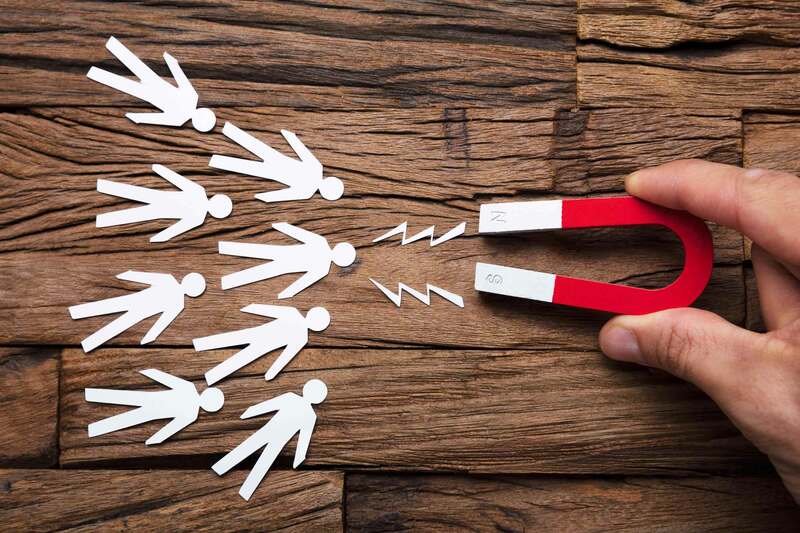 Buyer Personas are semi-fictional representations of your target market detailing their demographics, behavior patterns, motivations, goals, channels, etc. They are critical in helping you understand how your potential customer thinks about buying and/or consuming your products and services. If you have conquered all the above tasks, you are close to having a very complete marketing plan. The next step is to define the channels that you will use to spread your message and reach your audience. 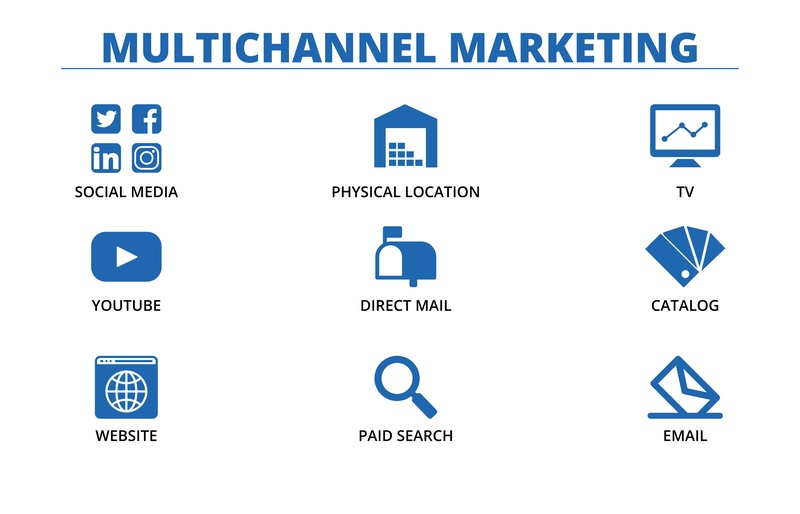 Marketing channels are platforms, whether online (such as social networks) or offline (such as tradeshows), where your customers can see and hear your marketing messages, promotions, business proposition & value, and more. You can determine which channel to target by understanding where and how your buyer persona consumes information or hangs around (this should be part of your buyer persona’s channels and sources). One of the biggest and fastest growing ad platforms is social media. For B2B logistics, the more appealing platforms are LinkedIn and Twitter. LinkedIn being a platform for professionals, users are browsing through the platform in a business mindset. Twitter, on the other hand, is used by CEOs and prominent business professionals to converse and create a following, which can be a good opportunity to advertise. Another effective marketing channel is blogging, which promotes SEO (Search Engine Optimization) – a technique to optimize web pages to appear closer to the top of results in search engines such as Google, Bing and Yahoo. Creating content that your potential customers want to consume is an effective way to unobtrusively market your brand by exposing your company website and service offerings. Because this requires a time investment to produce content and generate organic traffic, speed will not be an advantage of this strategy. So, these are just some of the digital marketing in logistics. Other channels you can utilize are email, videos, webinars, print ads and broadcast media. Lastly, as with any business, measuring is standard practice. Remember: If you can't measure it, you can't improve it. Without metrics, you will not be able to track what is most effective, what needs improvement, and what’s just not working. There are many software and native ad platforms that can measure your marketing efforts. You can use free built-in tools such as Facebook Page Insights, YouTube Analytics, Google Analytics to track your website data for free, or use powerful paid tools such HubSpot, Hootsuite and Hotjar. Define marketing metrics and key performance indicators (KPIs) to evaluate the performance of your marketing activities. Quickly adjust when plans are not going well while taking note of and retaining effective strategies. With a marketing strategy, planning is just as important as execution. Charging head-on without any research or knowledge about the battle is suicide. Always come prepared and go the extra mile to ensure the success of your endeavors. As always, if there is anything else you would like to know about logistics marketing or have any inquiry about the industry, please feel free to leave it in the comments below.